With companies like 31-W Insulation serving the Orlando area, improving your home’s energy efficiency is easier than ever. For more than 40 years we’ve been helping homeowners make their homes more comfortable and energy efficient with cost-effective home insulation products and professional installation services. Not only can having your home insulation replaced make your home more comfortable and energy efficient, but it can also help to dampen exterior noises so you can enjoy more peace and quiet. When you partner with 31-W, you can be confident that you are in good hands. We only rely on our experienced technicians to perform home inspection and install new insulation, unlike many other companies who subcontract the job out to a third party. What’s more, we install only the best, high-quality insulation from trusted manufacturers like Owens Corning® and CertainTeed, so you can be sure that you are getting a durable, top-of-the-line product that will last for years to come. 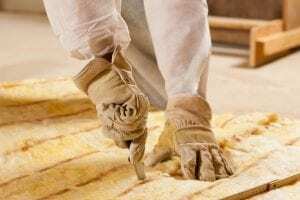 To find out more about the home insulation we install throughout the Orlando area, or to schedule a free in-home consultation to determine if you need new insulation in your home, contact 31-W today.